La Colección is a group of 13 unique resorts in Mexico’s top beach destinations. They have been growing their brand and we wanted to get the inside scoop on everything new, so we sent a group of our agents there to get some hands on knowledge of the properties. 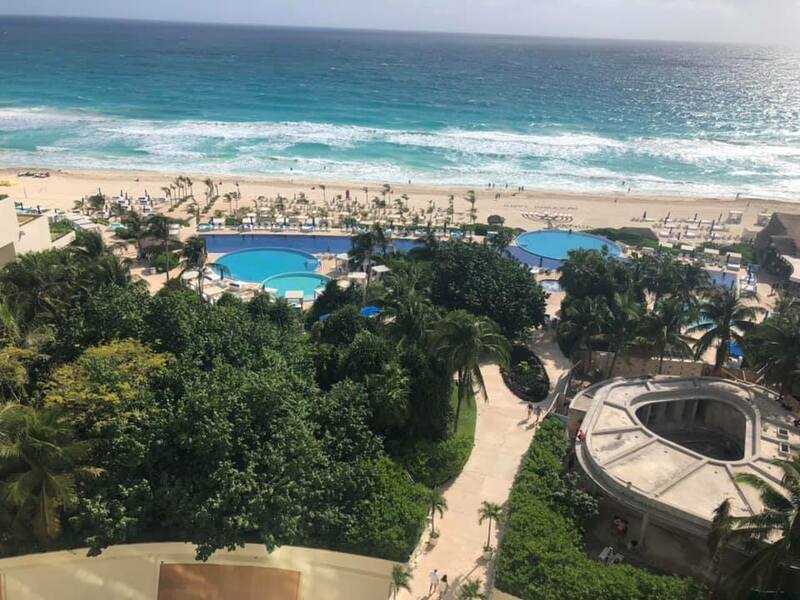 Our agents toured 6 La Colección resorts in Cozumel, Playa del Carmen, and Cancun, and we’re here to share all of the details with you. Read on for more! Fiesta Americana Cozumel is a family-friendly all-inclusive on Cozumel. It is the smallest all-inclusive on the entire island. It is set in a high rise building and the beach is located across the main street. Half of the rooms in the high rise are suites, and there are 3 restaurants on the property and 2 restaurants on the beach area. You do not need reservations for the restaurants, which is ideal. At the beach, you must take a ladder down into the water rather than wade in like a typical beach, but it is beautiful nonetheless. Be sure to order the amazing fish tacos at the beach restaurant! The Explorean by La Colección is a very unique property. Get ready to unplug when you check in here, as there are no televisions and limited WiFi. The family-friendly resort has a rainforest feeling, with views of the trees rather than the ocean (which you can’t see at all from the property). 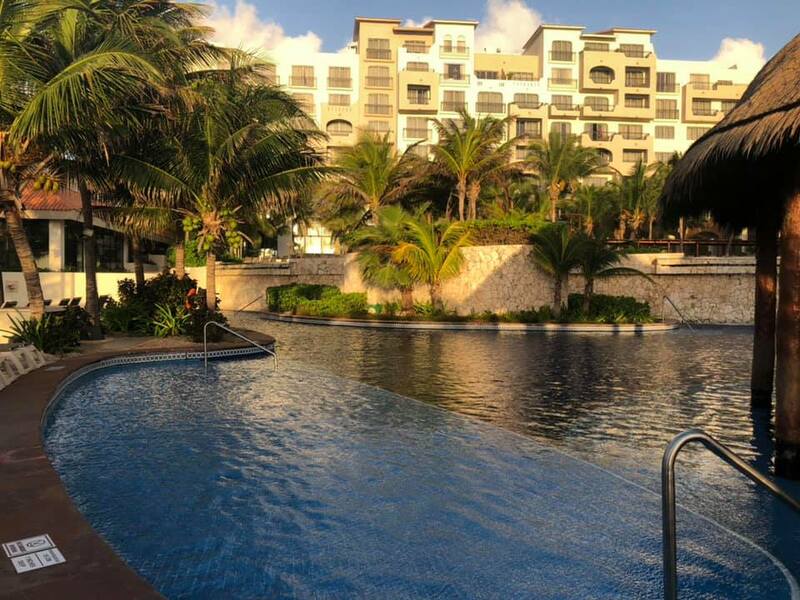 You do however have exchange privileges with Fiesta Americana Cozumel, but not vice-versa so it is very private. One great thing about this property is that your stay includes an off-property excursion of your choice. 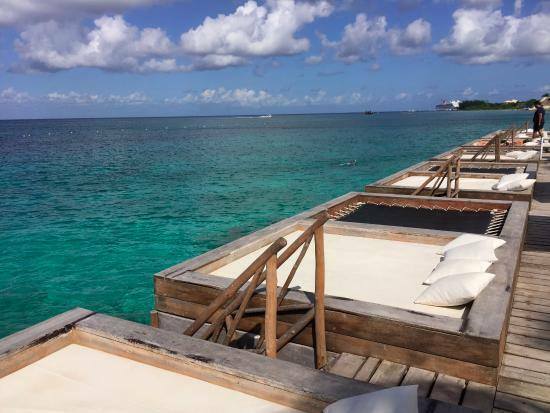 In addition to access to all of the restaurants at Fiesta Americana Cozumel, they are building 1 exclusive restaurant on the Explorean property that will be ready early this year. One unique thing to note is that every morning at 7 AM you’ll get a delivery of coffee, bread, and fruit outside your door. Our agents loved this property and highly recommend it for anyone that does not mind being off the beach. 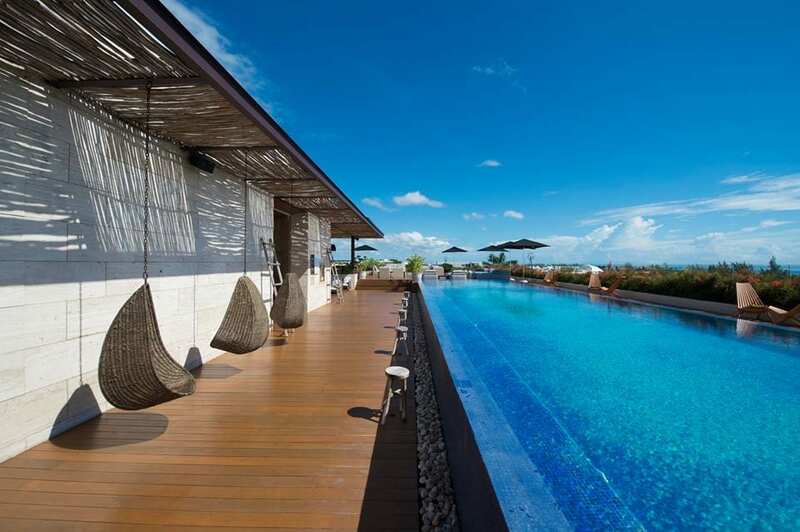 The adults-only property is luxurious, with an infinity rooftop pool and sushi restaurant. It is located directly on 5th Avenue so it is a great spot for going out. The beach is 1 block away, with 2 beach clubs close by. Mamitas Beach Club charges $8 for the day and this $8 goes towards a credit for drinks or food. Kool Beach Club is $20 per day, and also turns into a beach credit. There is also a restaurant being built next door that will be open later in 2019. Our agents liked the Master Suite and the 5th Ave Suite, which has two showers and a Jacuzzi. This adults-only property is perfect for spa-lovers looking for relaxation. Like all La Colección resorts, this one brings something super unique in the little details. Here it is the spa scents throughout the entire property – every floor has a different aroma and guests choose which aroma they want for their room. 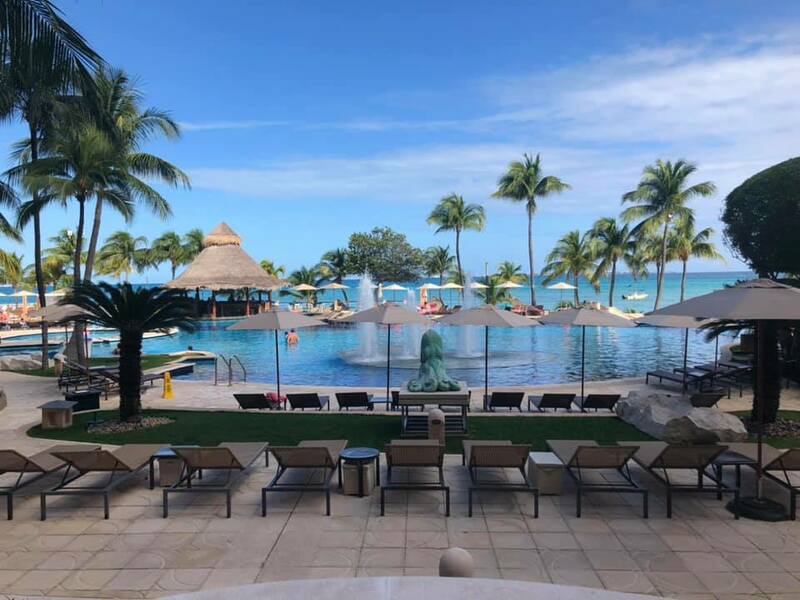 In addition, guests get a hand massage at check-in and those booked in a higher room category get a private cabana and each cabana comes with a foot massage. 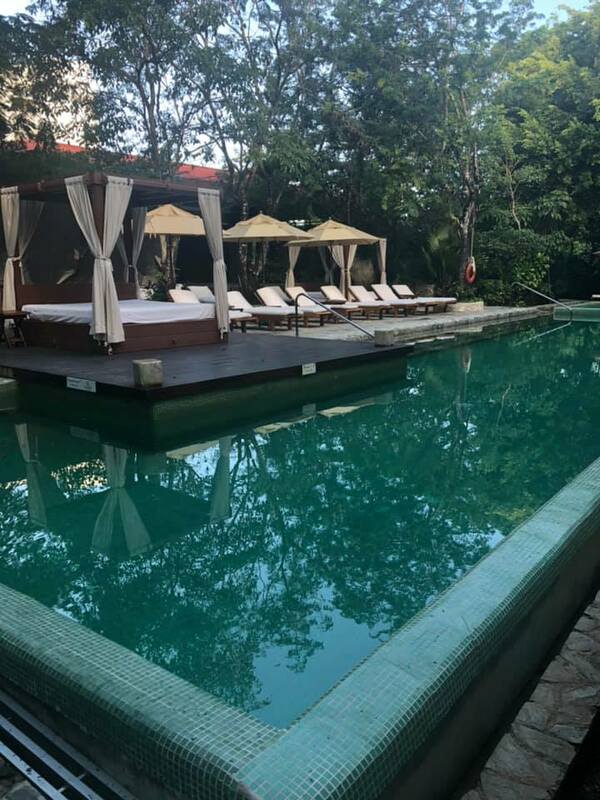 There are 7 different swimming pools and each one has different temperatures, so as you can see the theme here is really embracing all of your senses. One of the pools is more of a party atmosphere with music and a swimup bar, and there is also a bar open late with music every night from DJs, live bands, and even silent discos. There is a new restaurant that offers 8 or 12 course menus for an extra cost, and there is also a charming hidden garden restaurant. This family-friendly all-inclusive property is located on a gorgeous strip of Cancun beach. There are 10 restaurants, including a great taco and ceviche restaurant on the beach. In addition, there is a sushi bar open until 1 AM and a steakhouse, which does require reservations. They also have live entertainment every night until 1 AM. This family-friendly resort is mainly an EP (“European Plan”) property, meaning certain meals are included but not all. They do offer all-inclusive, which they dubbed the “Unlimited Experience” but it is a bit pricey. All rooms here are ocean view suites. This is a good option for families with young kids because they have a Caribbean suite that connects with a junior suite. In addition, there is an onsite Kids Club. The property has a direct view of Isla Mujeres and is located next to the ferry to Isla. There are 4 bars and 5 restaurants, including a Five Diamond gourmet restaurant on property.